Built in the imperial era as a mansion for a Russian millionaire, it eventually became the last home to prominent Soviet writer Maksim Gorky. Is it easy to hide a chapel? Why even bother to hide a chapel inside a house? That’s exactly what architect Fyodor Schechtel did when building a mansion for millionaire Stepan Ryabushinsky in 1900-1902. So, why did a respected man like Ryabushinsky ask to hide a chapel in his house? The answer is simple: the Ryabushinskys were Old Believers, an Orthodox sect that didn’t recognize the 17th century church reforms. The Old Believers were prohibited in Russia until 1905, and were forced to conceal their faith and church services. 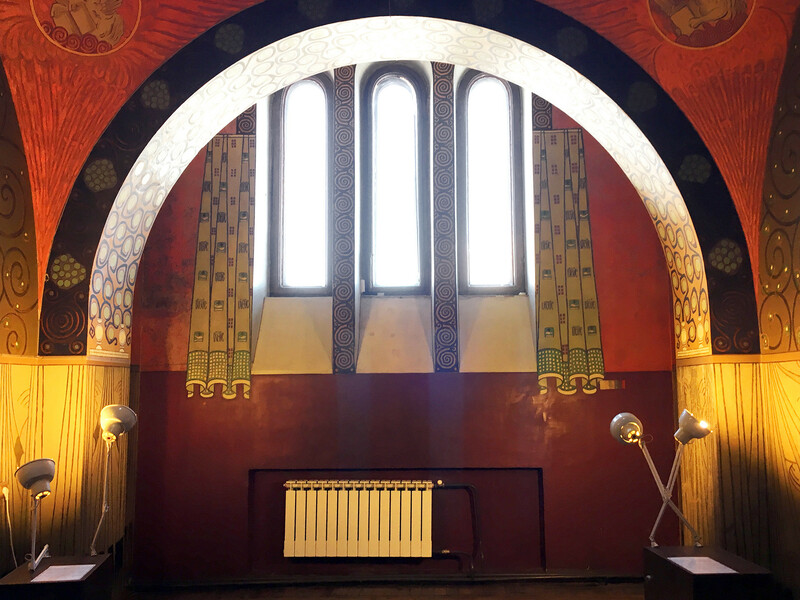 The beautiful chapel on the upper floor of the Ryabushinsky mansion was built so that it couldn’t be seen from the outside. 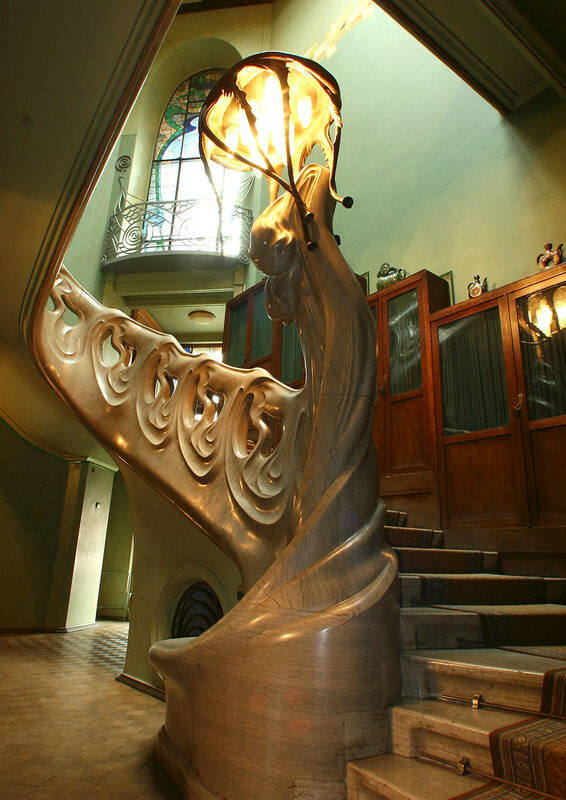 But this isn’t the only reason why the Art Nouveau mansion is one of the most original homes in Moscow. 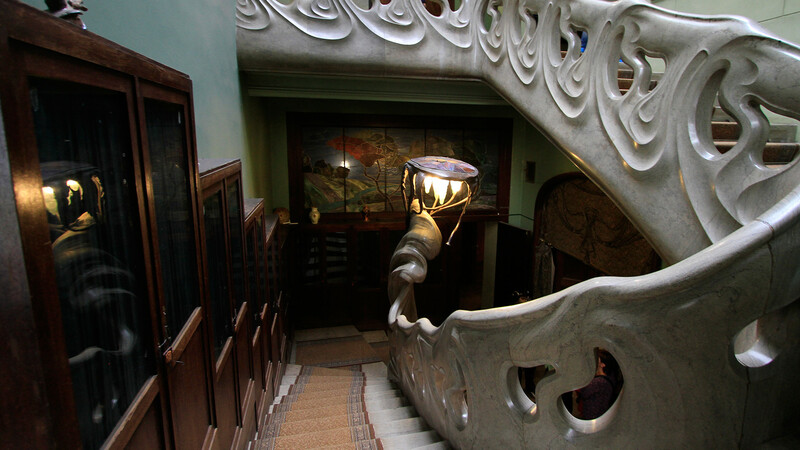 With its unique interior design, the house makes you feel as if you’re at the sea bottom, with a beautiful staircase in the form of a wave and a giant jellyfish lamp on top. Numerous sea animals and flowers can be seen everywhere in the house. Stepan Ryabushinsky was a merchant, benefactor and member of one of the richest families of his time. In three generations the family had gone from poor peasants to a millionaire’s clan that made money on cotton textile production in Vyshny Volochok. When seeing the mansion for the first time, Stepan examined every detail in its design and said enthusiastically: "It turned out to be very curious ... I believe that in the whole of Europe there is no house like this ..."
Old Believers often had many children, and Stepan had seven brothers and five sisters. They all received an excellent education, knew several foreign languages and were distinguished people in their professions. After the Russian Revolution of 1917, however, they fled Russia. Today, the Ryabushinsky heirs live in France, Italy, Britain, the United States and many other countries. One of Stepan’s brothers, Dmitry, built the world's first aerodynamic institute with a large aerodynamic tunnel in Kuchino in the Moscow Region. There, he worked on multi-purpose aircraft and missile projects. After the Revolution, the institute was nationalized. In 1918, Dmitry was arrested as a class enemy, but the distinguished writer Maksim Gorky stood up for him. Dmitry left the country and worked as a professor in the Sorbonne in Paris for many years, remaining grateful to Gorky all his life. As a Russian patriot, Dmitry did not take French citizenship and remained a citizen of the Russian Empire. He lived with a Nansen passport until the end of his days. In a twist of fate, many years later Gorky became the second and last resident of the Ryabushinsky mansion. 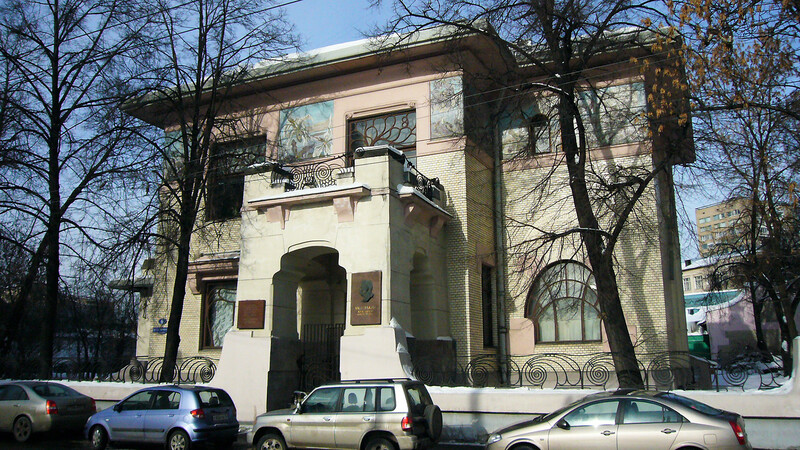 After the Revolution and the departure of the Ryabushinsky family, the mansion was turned over to various Soviet state institutions: the department of visas and passports, a state publishing house, a kindergarten for the children of Soviet party workers, and etc. Then Gorky came. Starting in 1931, the mansion was home to the ‘petrel of the Russian Revolution,’ who lived there until his death in 1936. 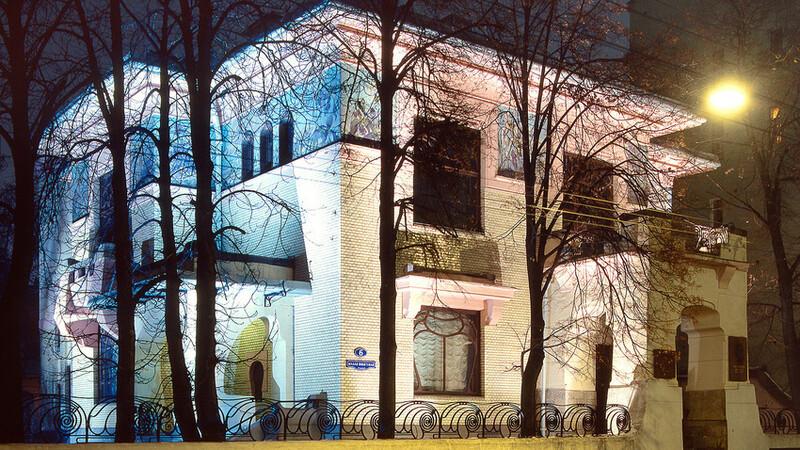 After that, his family lived there until 1961, and in 1965 the Gorky Museum was opened. 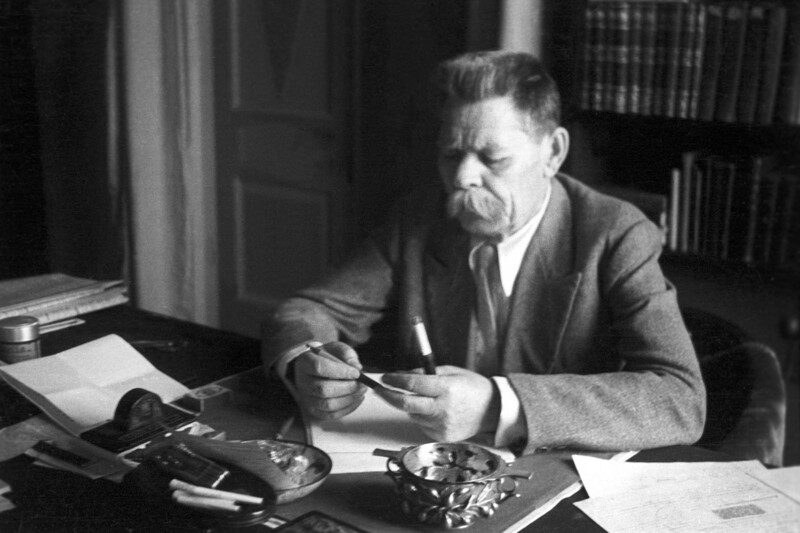 Gorky had returned to the Soviet Union after his long emigration starting in 1921. 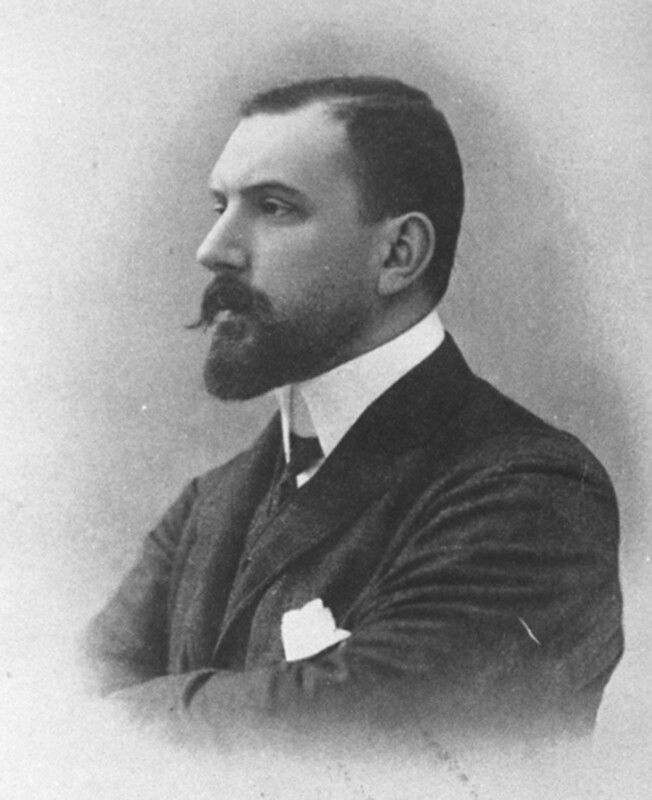 While he originally supported the Revolution, he criticized the Bolshevik’s methods of governance and preferred to live in European countries, taking up residence in Italy for a long time. 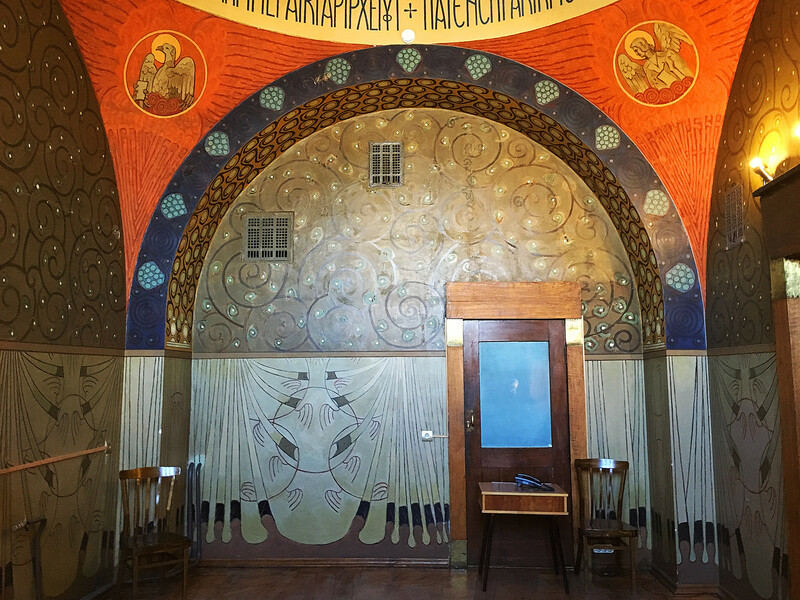 After numerous pleas from the Soviet government and having faced serious financial difficulties abroad, Gorky finally agreed to return to Russia and settled in the Ryabushinsky mansion that had been specially restored for him. Gorky wrote that these last years in his Motherland were the most bitter. He was constantly watched by his secretary and the secret services, his guests were carefully selected, and he even got newspapers and magazines with deceitful information published in order to misinform him. "There is an ear behind every door [of this house]," Gorky said. In 1934, his son died under strange circumstances at the age of 34. This broke Gorky completely, and the writer died shortly afterwards in 1936. 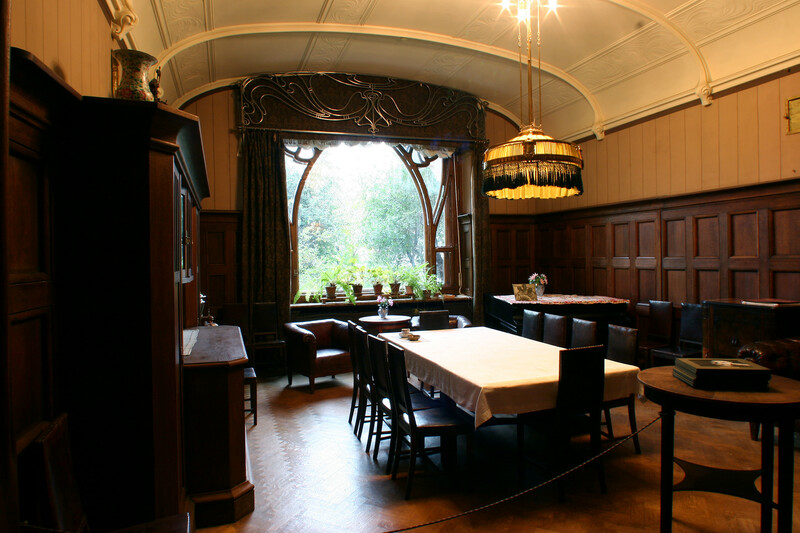 With the writer’s family living in the mansion for another 30 years after his death, many of Gorky’s belongings remained. Today, they are exhibited in the mansion: his huge library with 12,000 volumes is the second largest of any Russian writer, except for Leo Tolstoy. Walking around the house you’ll also find the writer’s collection of Netsuke figures, his writing table and manuscripts, his favorite oriental gown and skullcap that he wore at home, as well as pictures of his family and beloved son. Gorky never liked the mansion, however, considering it too posh for a revolutionary. "It's grand, grandiose - there's nothing to smile at ..." he used to say. "It would be better if they gave us a good apartment…” The writer, however, was doomed to spend the last years of his life in the mansion.